Hello to all my indie rock friends! 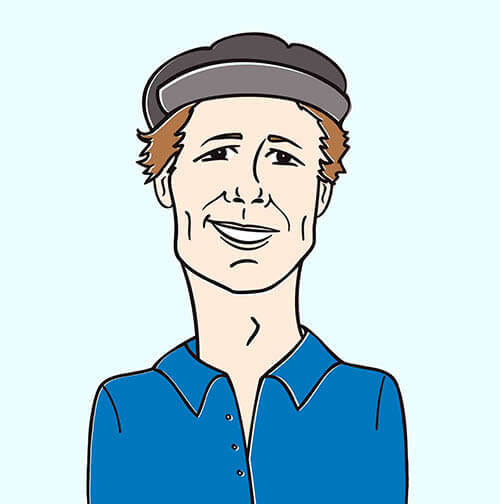 It’s Andy Gesner and the unflappable staff from HIP Video Promo, here with a brand new clip from a truly independent band that has always made its own waves. One of the best things about working at HIP has been our front-row seat to the transition and democratization of the music industry. We’ve watched technological innovation open doors for artists as electronic distribution channels and social-networking sites have made new music easily available to listeners all over the world. But few groups have taken advantage of the new opportunities as skillfully as Daphne Loves Derby. Since first posting their tracks to the Internet at the beginning of this decade, the Seattle-area four-piece has gotten more than five million plays on PureVolume. Their MySpace and Facebook pages have become virtual parties; massive online gathering places for friends, comment, and discussion. Their debut was made available exclusively on the Web – and it put them atop PureVolume’s charts for weeks. Subsequent releases have been physical as well as electronic, but the band’s online popularity has only grown. Their sales figures have reflected this popularity as well, making the band one of the best selling indie acts on the circuit, vastly outselling and outdrawing most other bands with similar internet traction. Yet it’s virtually certain that even if there wasn’t an Internet, Daphne Loves Derby would still have become indiepop stars. PureVolume and MySpace gave the group a platform to bring their songs directly to listeners, sure – but when songs are this irresistible, they’re bound to find their way into the marketplace one way or another. What’s more, the young members of Daphne Loves Derby look like stars: Kenny Choi and his bandmates are stylish and telegenic, but identifiable and approachable as well. 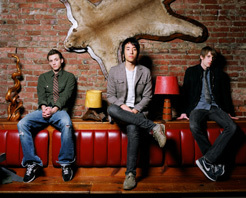 Their frenetic stage show has also distinguished them, as has their commitment to touring – this autumn, they’ll be back on the road once again with the Spill Canvas (the band has also recently shared the stage with Jack’s Mannequin, Paramore, Anberlin, Copeland, Rocket Summer, among others), bringing their well-crafted songs to ecstatic audiences all over America. Yet it’s virtually certain that even if there wasn’t an Internet, Daphne Loves Derby would still have become indiepop stars.PureVolume and MySpace gave the group a platform to bring their songs directly to listeners, sure – but when songs are this irresistible, they’re bound to find their way into the marketplace one way or another. What’s more, the young members of Daphne Loves Derby look like stars: Kenny Choi and his bandmates are stylish and telegenic, but identifiable and approachable as well. Their frenetic stage show has also distinguished them, as has their commitment to touring – this autumn, they’ll be back on the road once again with the Spill Canvas (the band has also recently shared the stage with Jack’s Mannequin, Paramore, Anberlin, Copeland, Rocket Summer, among others), bringing their well-crafted songs to ecstatic audiences all over America. Much like Death Cab For Cutie or Sherwood, the members of Daphne Loves Derby are songwriters first and rockers only after that – but make no mistake, they do rock. Produced by Matt Squire (Panic! At The Disco), Good Night, Witness Light is the band’s most accomplished work yet, and it presents Daphne Loves Derby as a group with impeccable indiepop instincts. On songs like “Stranger, You And I”, they know just when to hold back and when to turn up the volume, and the band supports Choi’s story of heartbreak and romantic disillusionment with music that is alternately stormy and sweet. Director Noah Shulman is best known for his work with heavy bands – his music videos for Soil, Janus, and Betzefer are dark, brooding, and evocative. But for the “Stranger, You And I” clip, he reveals a softer and more meditative side, and one wholly appropriate to this anthem of the lovelorn. It opens in a “city” made of two-dimensional black and white model buildings; there, between the skyscrapers, peeks the marquee of a small antique theatre. Inside, an actor and actress in clown and princess costume play to the audience shamelessly – theirs is a love scene, but they don’t seem able to connect. Instead, the actress is thinking about Daphne Loves Derby, and when they appear in her thought-bubbles, they do so in full color. Nothing bright or particularly vibrant, however; instead, Shulman uses a filter that makes the band appear to be live-action watercolor paintings. The production choice fits “Stranger, You And I” and Daphne Loves Derby perfectly: these are musical impressionists, and the sounds they make are intimate, fresh, revealing, and frequently beautiful. Huge thanks to Lonny Olinick as well as John Holland and the crew at Outlook Music for making sure we have everything we need here to get you set up! We have lots of copies of Good Night, Witness Light for all of your on-air giveaway needs, so don’t hesitate to be in touch! The band will also be doing a west coast run of dates with The Spill Canvas this fall, followed up by a full US headlining tour and we would be happy to set you up with a video interview. If you need more info call Andy Gesner at 732-613-1779, or email HIPVideo@aol.com.